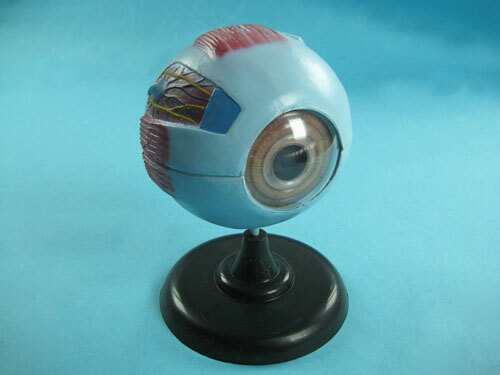 This six part plastic model, enlarged 4 times, displays muscles, blood vessels, optical nerve and other major features of the human eye. 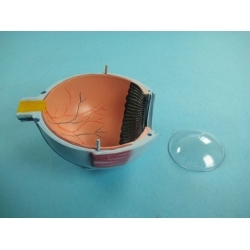 The eyeball is dissectible horizontally to reveal the retina, choroid and sclerotic. 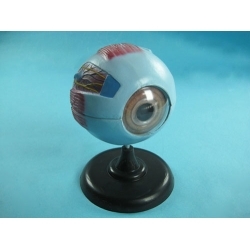 The iris / cornea unit is detachable. 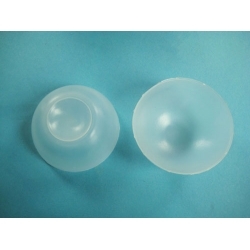 Convex lens magnifies and forms inverted images. Mounted on a plastic base. 24 CM in height.